and I thought maybe I should let you all know that I'm just dealing with some things. 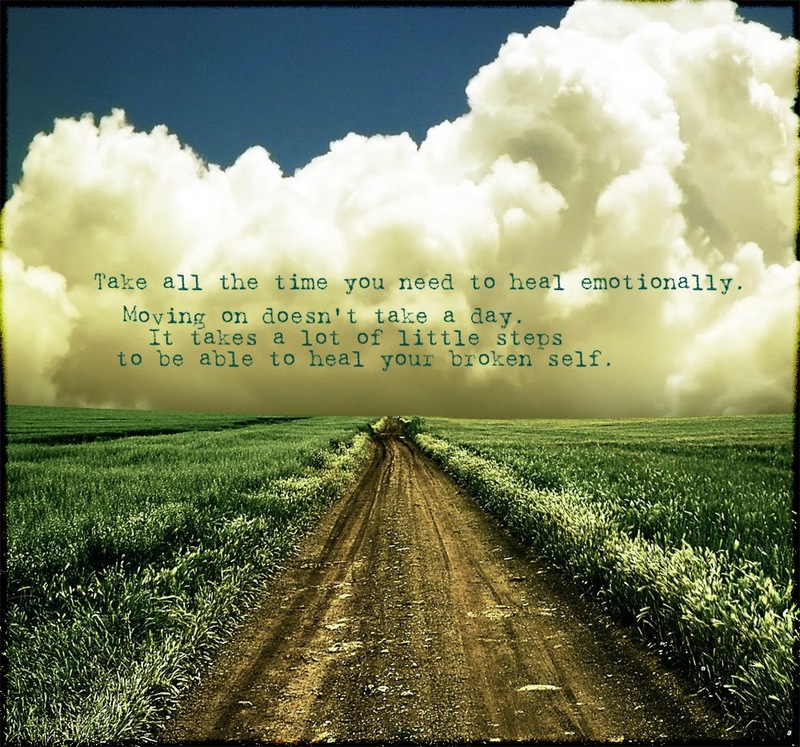 Things that are taking a little time to adjust to. Since I picked up this old porch light at a rummage sale last summer, I've always thought it would make the perfect birdhouse. Well, now it's transformed but not quite into a birdhouse. 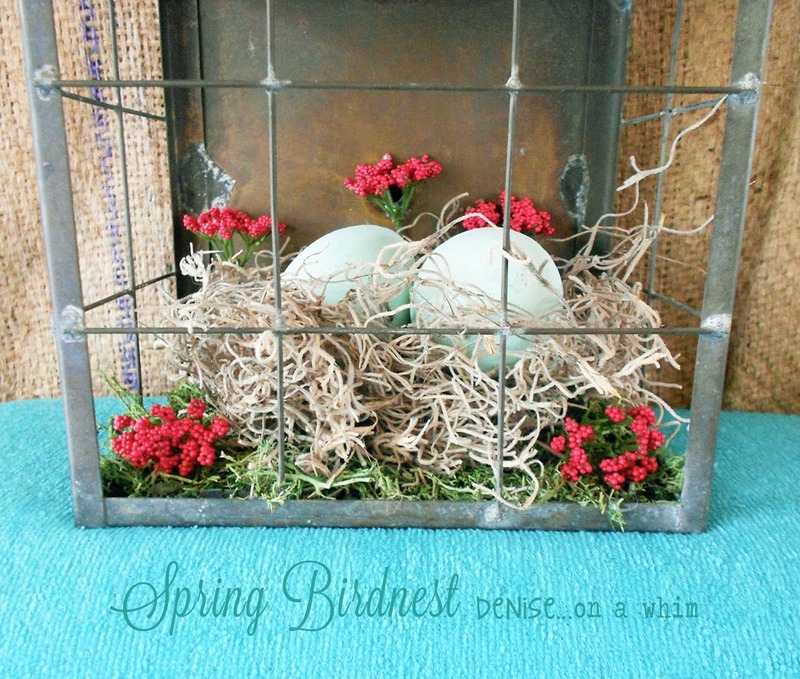 It's a pretty piece of indoor spring decor instead! Is there anything that doesn't make a great chalkboard? 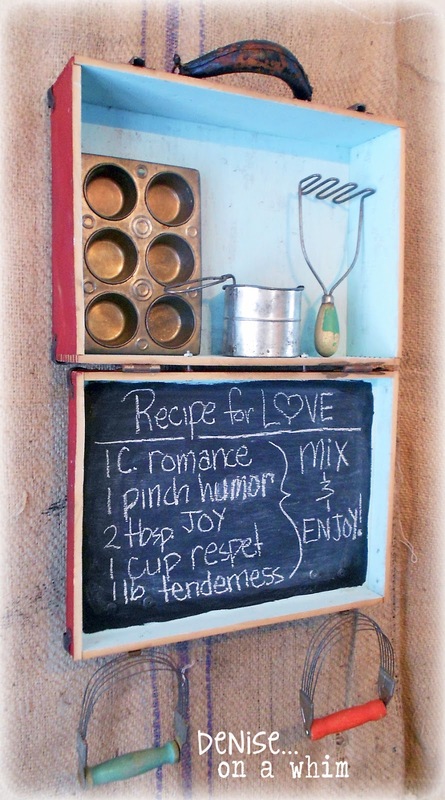 My latest chalkboard creation is a vintage skate box that I made into a chalkboard and shelf! Once again, my living room changes have brought about another project! 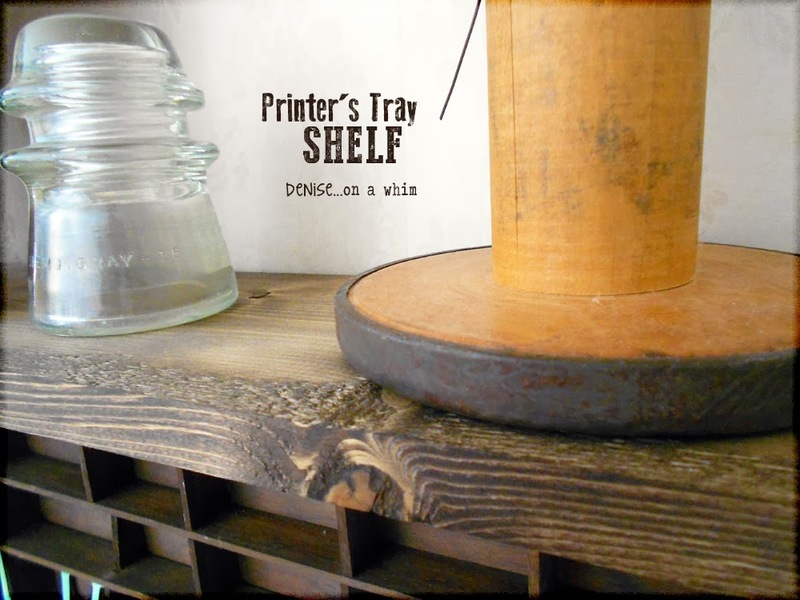 Today I'm sharing a new shelf I made from a vintage Printer's Tray. 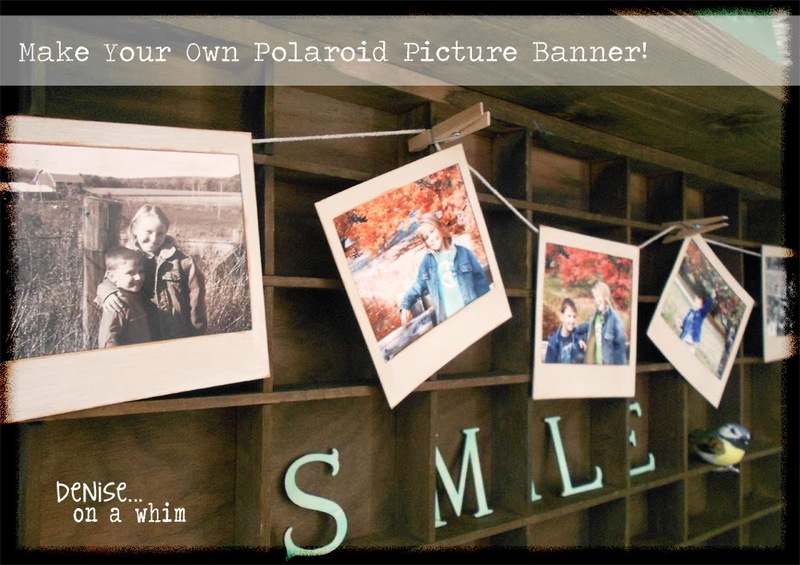 I've been planning to make this darling Polaroid Banner for some time now. As is often the case for my own projects, necessity lit a fire under me and I finally got it done! 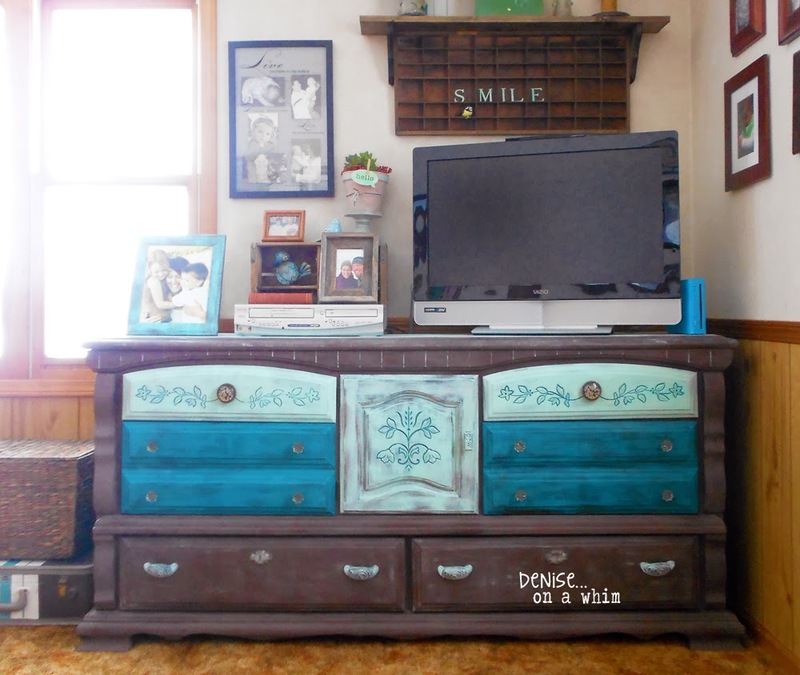 Our Entertainment Center Gets a Makeover! 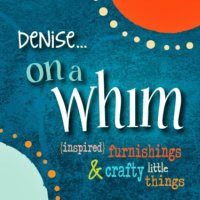 If you follow my blog, you might already know that most of what I show you are things we make for shows or for our booth. It's rare that I make something for myself. Well, until recently that is. Lately I've been transforming my own living room with new DIY projects. Today I'm showing you the project that started it all! I've told you before and I'll say it again... I'm not sure if spring will ever get here to Michigan! We have a record amount of snow on the ground right now so that doesn't bode well. But, either way, I'm bringing spring into my house with little touches here and there. 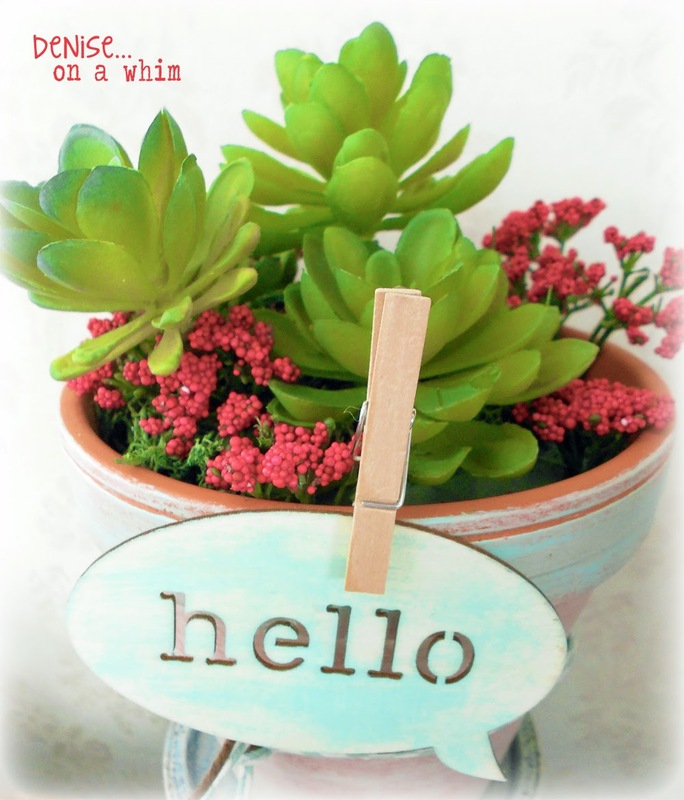 Like this pretty succulent arrangement!